It was a five-star feast of epic proportions. We were a lively party of 13 people, devouring 13 courses of arguably the finest Southern Italian food in Philadelphia. Servers brought us family-style helpings of fried squid, octopus, roasted chicken and whole fish. They graced us with servings of gnocchi sardi, strascinati, fazzoletti, capunti, bucatini con pesto, and other pastas we’d never heard of­ — but that tasted so damn good nonetheless. Wine poured freely. We laughed out loud, stuffed our faces, and took photos of every dish while daring onlookers at other tables to judge us. The waiters joined in on the fun, building up our suspense about the next course even as we strove to finish the one in front of us. I had a sense of ease that I’d never felt at a dinner party before. No one checked the time, asked questions about portions, or needed to look at the menu. We were all, in that moment, feeling limitless. And then, when it was over, we left without even waiting for the bill. No, of course we weren’t dining and dashing. I’d actually paid for the entire meal — my boyfriend’s birthday-dinner celebration this February at one of the city’s most acclaimed restaurants — ahead of time, tip included. I’m convinced that’s part of the reason the service was so effortless and stress-free that night. Because our party paid in advance, the biases that Black patrons often face — that we’ll skip out on the bill or tip poorly — went out the window. I’m not saying the staff would have treated us differently if we hadn’t paid up-front. But a lifetime of experiencing racial profiling while dining out has made me distrustful of the restaurant industry in general. I can’t help but notice that the best dining experiences of my life have come at media tastings or when I prepaid the meal. As is often the case at first-rate restaurants in Philadelphia, we were the only Black couple in attendance that night. For a major American city with a huge Black population, this should be an embarrassment. But when I look at our dining culture, I can’t act as though I’m surprised. Just like the city’s residential population, Philly’s restaurant scene is racially segregated. We’re racially divided on which dining spots are “best,” who gets to own such restaurants, even who gets to critique the venues. If food is a cultural touchstone with an ability to bring us together, perhaps we need to reevaluate why — even as our city’s palate continues to expand and evolve — we haven’t gotten our act together. It’s time for us to finally acknowledge the real elephant in the room: While all of us are immersed in Philly’s growing dining scene, not all of us are being treated the same way. 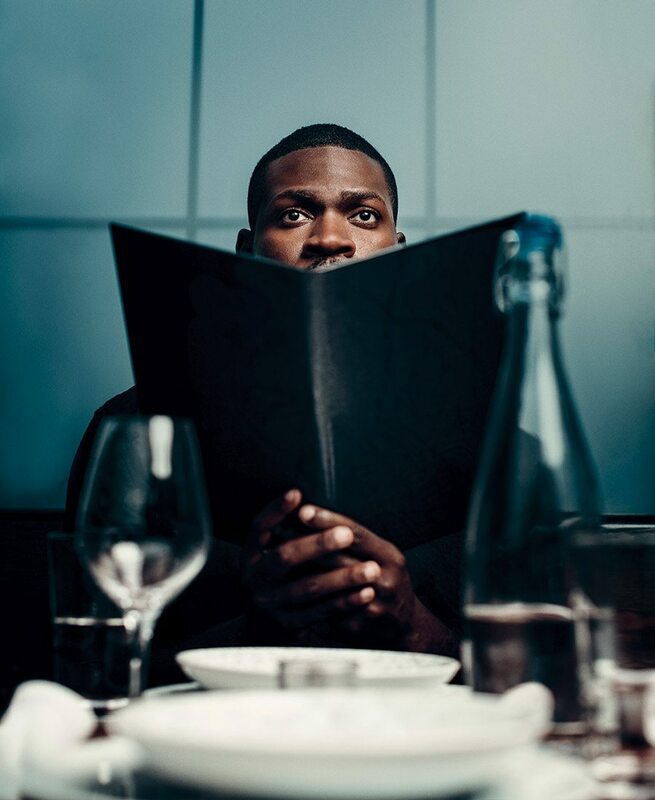 At the heart of the Black dining experience in Philadelphia is the sense, at many white-owned restaurants, of not being fully welcomed, of not quite fitting in, of being viewed somewhat suspiciously. Other times, the slights aren’t subtle at all. One day last November, a real estate developer I know was having lunch at a Center City restaurant — a restaurant that the developer, who was dining with business partners that day, happened to be an investor in. “How much should we tip?” is a question my Black friends and I ponder every time we dine out in Center City. Not long ago, a group of us were finishing brunch at a cafe in Midtown Village when a debate over the percentage came to a head. “Her service was horrible. She basically treated us like we were from another planet,” one of my friends whispered to the group. “Yes, I agree. But if we don’t give her a decent tip, we’ll be perpetuating the stereotype she probably had of us already,” another friend argued. Looking back, I agree with the dissenting member of our party — that waitress didn’t even deserve the 15 percent tip we finally agreed on. It took nearly an hour for our breakfast entrées to be served, due to her decision not to check in on us promptly. Meanwhile, we had our IDs checked twice: once when we ordered mimosas, and a second time when we used our credit cards to pay the tab. Furthermore, we were constantly told we were “too loud” even as an entire squad of frat boys across from us was breaking dishes and chanting without reprimand. The feeling of being somewhere we don’t belong isn’t uncommon for my Black friends and me. Alexandria-D’or Leggett, a local foodie, remembers the “uncomfortable vibes” she got from a white server one night when she dined with an older white mentor at a well-known French restaurant in Rittenhouse Square. When I asked if avoiding Black patrons is a common practice across the city, he responded, “Unfortunately,” adding, “Any white guy who bartends in this town knows how rowdy some of these Black guys can get. “Real soul food is in the Northwest. The white folks mess it up downtown,” a Black cabdriver told my mother and me during my first week living in the city, as an undergraduate. Next to the best places to get cheesesteaks and hoagies, it was the first solid piece of advice I got about Philly’s dining scene. This was in 2010. At the time, the Moravian Food Court — an affordable fast-food dining hub that attracted a mix of Penn students and neighborhood residents — was alive in University City, and I quickly felt at home among the diverse crowd. A few years later, I would find myself routinely indulging in hot chicken, collard greens and cornbread for Sunday supper at the Fat Ham, a Southern American restaurant near campus that was owned by celebrated Black chef Kevin Sbraga. Sadly, both these spots are now closed, and I’m left searching for similar vibes in the local food scene. In 2016, the website Billy Penn, using data from Yelp and neighborhood associations, broke down the restaurants in 11 different sections of Philadelphia, including Greater Center City, parts of West Philly, and Manayunk/Roxborough. The numbers were unsurprising. Pizza was the most common type of restaurant, while the most common “ethnic” cuisines were Chinese and Italian. Not even listed among the 16 different types of restaurants were any that served Black soul food or African/Caribbean fare. Their numbers, no doubt, were too few. This is underwhelming in a city where people of color make up the majority of the population and where those of African descent are the largest single racial identity. There are successful Black restaurants in Philadelphia, of course, but their owners often face a hurdle that their white counterparts don’t: While Italian and Chinese restaurants are perceived to be for everyone, Black restaurants are mostly thought to be for Black people. “The challenge for us has been overcoming the reality that Philadelphia is still a very segregated city, and oftentimes people feel uncomfortable in a social environment that is comprised of people who are racially different,” says Robert Bynum, one half of the famed Bynum brothers, who currently own Warmdaddy’s, Relish, South and Green Soul here in Philadelphia. Since opening the iconic Zanzibar Blue jazz parlor in 1990, Robert and his brother Benjamin have launched 13 venues in Philly, New Jersey and Delaware — making them among the most successful African-American restaurant owners in the region. According to Robert, one of their unique obstacles is “trying to communicate to the general market that just because we are African-American-owned doesn’t mean all aren’t welcomed. 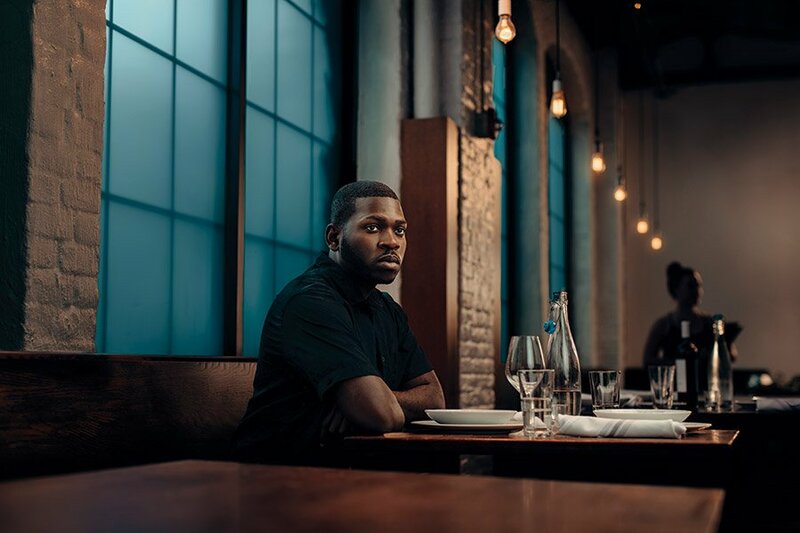 “We try hard to make everyone feel comfortable and at home at all of our venues,” he says, to fight the perception that their restaurants, which often highlight Black culture, are solely for the Black community. But as the Bynum brothers feel the pressure to emphasize inclusion at their restaurants, are their white counterparts doing the same? “What in the hell is a hungry pigeon?” someone at my barbershop asked. “Those aren’t top restaurants,” I said disappointedly. All of the Black men in the shop were old enough to be my father. They were doctors, lawyers, entrepreneurs — individuals of such high status that I presumed they frequented the city’s best restaurants. “It’s not that we can’t afford to go to these places, but we go where we feel comfortable. Are there any Black-owned restaurants on that list?” my barber asked. It was January, when Philly Mag traditionally updates its 50 Best Restaurants ranking in print. It was another year when only one Black-owned spot made the list. (Replacing the shuttered Sbraga was Chad Williams’s critically acclaimed Friday Saturday Sunday reboot in Rittenhouse.) The ranking — like Craig LaBan’s year-end best restaurants list and Eater’s compendium of “essential” Philly restaurants — spotlights predominately white-owned venues heavily concentrated in Center City and East Passyunk. While Italian, French and modern American cuisine are recognized throughout the rankings, dishes from the African diaspora are virtually unrepresented. Much of the reason for that, no doubt, lies with the structural problems facing would-be Black restaurateurs: the lack of capital, the restrictions on culinary innovation. But it’s fair to ask whether the lack of diversity on such lists reflects the lack of diversity among the people who make such lists. Most of the food writers and editors at places like Philly Mag, the Inquirer and Eater Philly are white, which helps create something of a self-perpetuating cycle when it comes to which restaurants are deemed worthy of spending money on and caring about: White writers write for mostly white audiences and cover mostly white-owned restaurants that cater mostly to white people. It’s a problem that’s not easily fixed. “Initially, actively reaching out to restaurants or PR firms to cover their restaurants through my blog didn’t return many positive results for me,” says local food writer George Banks-Weston, who runs the blog Geo’s Table. We’re at one of several private media tastings at which we often see each other in the city. Such settings tend to be a sea of whiteness, with only a handful of the same Black food influencers and media faces present each time. It can feel like an uncomfortable scene from Guess Who’s Coming to Dinner when a Black face enters the venue; people turn to stare and try to figure out where the interloper comes from. Regardless of race, independent food bloggers/influencers have a harder time cracking the scene than writers from established outlets. But many independent Black food influencers, such as Banks-Weston, feel they have to hustle even more. If we can’t even find a way to diversify who covers our city’s dining scene, what does that say about the future of the dining scene in general? Perhaps we shouldn’t be talking about Black foodies striving to fit in among the segregated elite, but about embracing a new food culture altogether — one that’s more eclectic and forward-thinking. “Starbucks while Black — that’s what many are now calling it,” the anchorwoman reported as I was getting ready for a dinner date with my boyfriend. I had just heard about the incident in which two Black men were infamously arrested at a Starbucks in Rittenhouse Square for not purchasing anything. The situation infuriated me, even though, given everything I know about the way Black people are treated in restaurants, it didn’t surprise me. In the following week, there were countless protests, boycotts, and calls for the city to respond. I joined many others in boycotting Starbucks, and I haven’t stepped foot in one since. For me, the boycott is about more than just those arrests. It’s a reaction to a culture that intimidates and marginalizes those dining while Black daily. Since then, I’ve developed a newfound desire to also support Black-owned restaurants in Philly that some critics may not consider “the best” but that I feel still need to exist. I’ve started going to Aksum, Booker’s, Relish, Ms. Tootsie’s, and other Black-owned venues near and far that make me feel like a first-class citizen. For me, where to eat is no longer just about the food; it’s about having guaranteed peace of mind. Are we doomed to have a scene that’s forever segregated? Golan Perry owns the fast-food spot Wing King at 12th and Chestnut; he sells large slices of pizza for a dollar and has gained traction online. I learned about his indoor storefront from a friend who told me about a Black man selling Philly favorites (water ice, soft pretzels, wings and pizza) at ridiculously low prices. When I arrived at Wing King, there was a long line outside a tight hallway leading up to a small kitchen. There was no indoor seating, just takeout. But this was more than compensated for by the instant socialization of the diverse mix of working-class and downtown corporate figures waiting in line. I realized the magic of Perry’s setup: He is essentially forcing strangers to get to know one another. For years, my rigid definition of a great dining experience was an impressive feast that left me full. But the more I navigate Philly’s restaurant scene, the more I get fed up with the routine racial profiling at what some Philadelphians consider institutions of “fine dining.” I now value what restaurants can do to satisfy my dignity, rather than just my appetite alone. As a Black foodie, I crave more than a five-star meal while dining out. I want an acknowledgement of my humanity — something that can’t be taken for granted in the City of Brotherly Love and cheesesteaks. Published as “Dining While Black” in the July 2018 issue of Philadelphia magazine.